With these simple puzzles, children will learn to recognise a variety of healthy fruit and vegetables and correctly match the picture to the word. The back of each card contains a question about the healthy fruit or vegetable. 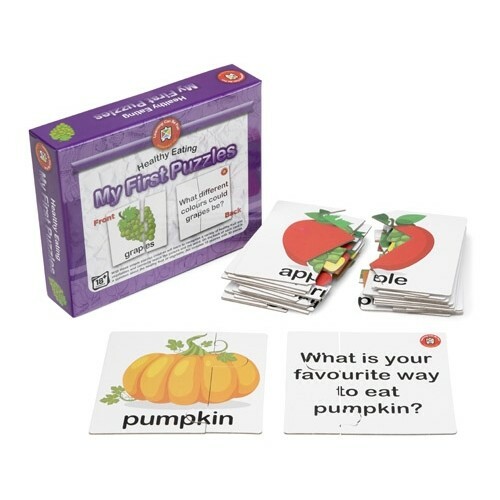 Parents and teachers can also read the fruit or vegetable names to encourage sight word recognition. This is the first step in gaining word recognition skills. Turn the puzzle over and have the child answer the question on the back. Complete the puzzle by linking the two picture pieces together.